One of the biggest draws to our home when we purchased it in 2014 was the huge garden. But, it needed a lot of work and TLC. We spent the remainder of the summer and into the fall pulling weeds and trying to figure out what exactly we were working with. We made major progress in the Spring of 2015. We cleared out a lot more stuff. We tore up tons of carpet and built some new gates. We began to see it's potential! We are still learning as we go and 2015 wasn't a hugely successful gardening year for us. 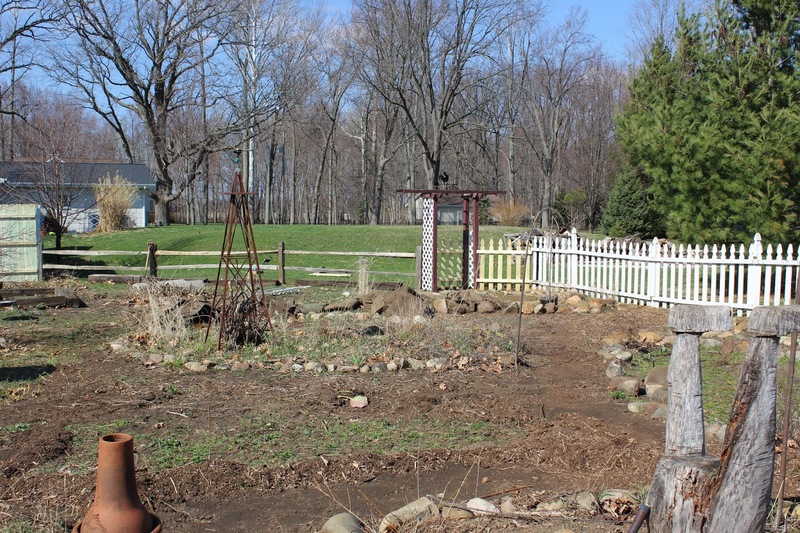 But, we're so excited to get planting and see how it goes this Spring and Summer! We do keep our garden totally organic. No fertilizers or pesticides of any kind. This does mean we get lots of weeds, but that's okay by us. We do our best to keep up with the weeding, but it doesn't take long for it to get out of control! Garden View - Early June - Take a peek to see how our garden is looking and what we've got planted! Garden is Planted! - We worked in between rain storms, but the garden is in......and wet! Buzz Buzz....We Have Bees! - We can check one more thing off of our "to do/want" list! Spring Has Sprung! 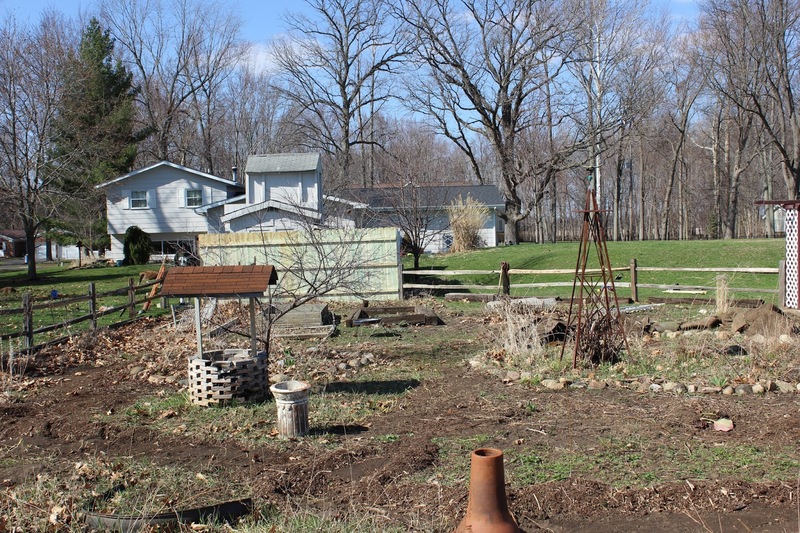 - Here are a few things we've been up to both inside and outside our Homestead. 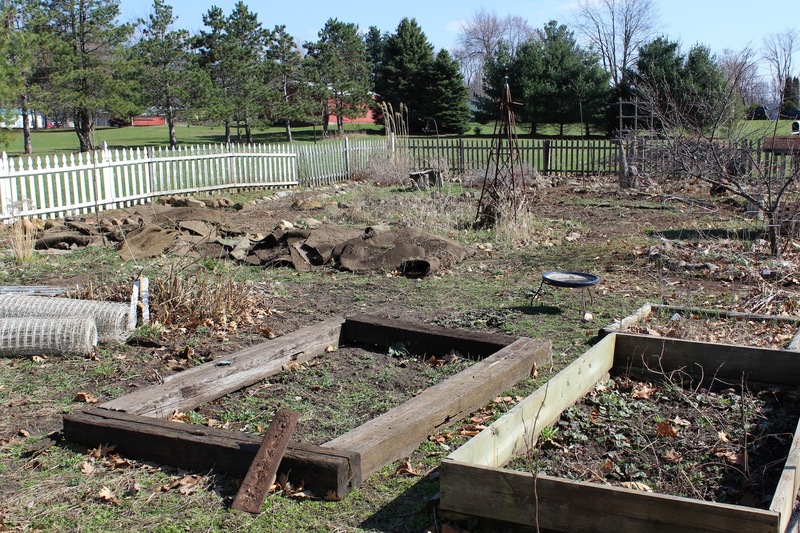 Garden Expansion - We now have an additional 700 square feet of garden space to work with! 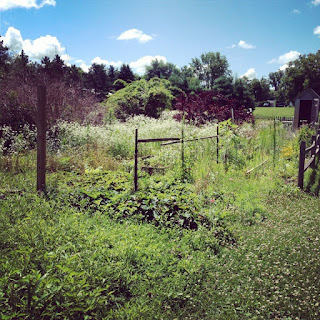 Early Garden Update - Here's what's going on early summer at our homestead. DIY Portable Seed Cart - Now we can easily move our seedlings from our house to the deck. Starting our Seeds! - We're starting most of our garden by seed this year - the first batch are planted! Compost 2.0 - Jason revamped and moved our compost, using all things we had on hand! Mini Greenhouse - a temporary greenhouse for our seeds this spring! Starting Seeds in Eggshells - the kids and I started our seeds in eggshells this year! 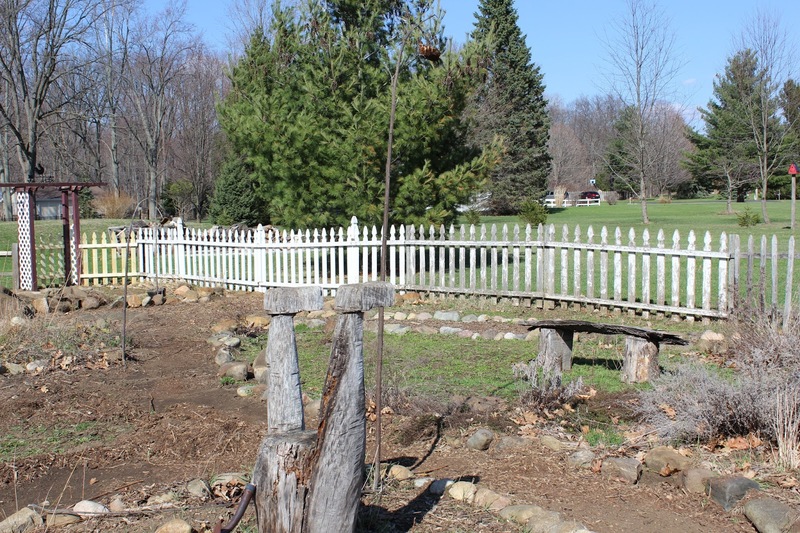 Interior Garden Fence - Separating our perennials from the rest of the garden. Spring Progress - Lots of before/during/after photos here! DIY Garden Gates - Made completely with things we already had on hand. DIY Compost Bin - Also made with things we already had. We get so much use out of this! So Much Rain! - The summer has started out quite wet and sloshy. Buh-Bye Garden Carpet! - Ever have one of those "duh!" moments? Yeah, us too. Winter Compost Bin - No trekking out in the snow to dump compost for me! As we think that better environment or atmosphere is best for your health and life, exactly like this greenhouses for gardening. Green houses are very special kind of place which provides the growing plants, food, and flowers a very healthy and cool place for growing them easily.